During the production of my atmosphere project, “Rolls”, in which music was paired with a slideshow of Rolls Royces, several decisions had to be made when altering instruments and sounds in Ableton Live. I incorporated the use of panning on my looperman “carousel” track, which engages the listener and makes my piece more audibly interesting. I also altered tracks to have them blend together more smoothly, fading and changing volumes throughout the piece. Doing these things engages the listener into feeling the music unfold around them, for example when the hear the changing in source of the sounds. is present. Because of this, I chose “Space choir” because I felt its sound most successfully embodies this. Additionally, I chose to end my slide show with a Phantom driving into the night, which i viewed as the sleekest and most visually appealing image. I used this image as my finally to end on the highest note and leave the audience wanting more. After recieving feedback from my peers, I made several significant changes. I decreased the time of my piece by over a minute and a half,. By doing this i increased the quality to time ration of my piece, and keep the audience more interested. I also panned sounds much more significantly, which engages the listener. Finnally I faded sounds to allow my loops to blend more seemlessly. This second piece, "Kinda Lil Jon", incorporates much of the skills that have been taught in Music Technology. 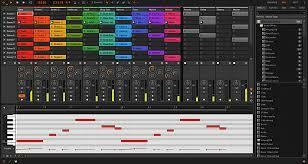 First, a vocal loop was pulled from the internet, which was then overlapped with several instrumental beats. Next, panning of audio, fading of specific loops, and quantization was used throughout. Finally, after taking into account the critique of peers, and several restarts, my final piece was completed. In this project, "Dilly Dos", I used several different sounds to make one sound that sounded great. This was a step up from my last project and I feel very confident to where my music technology career is going. This was a very fun project to do. This was my very last project and put my most effort into it. It is called "Squares" because all of my tracks look like squares. My music has expanded and I am happy that I did this project. Hope you like it!